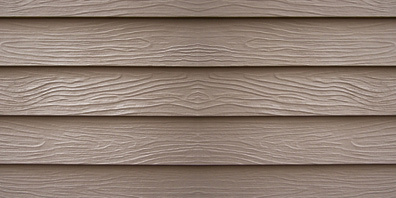 We are a smaller one crew company that specializes in Vinyl siding, Custom metal trim, windows and doors. We focus on very detail oriented work practices, and work with only high quality repuatble manufacturers and suppliers. We started installing replacement windows and siding in 1995. We are properly licensed and insured and take pride in our work. Every customer is treated with respect and every home treated as if it were our own. Pat Hyde, the owner is a 1996 graduate of Yale High School. He was born and raised in St, Clair County and resides in Port Huron twp. He will work with you through every step of the project and at no time will you feel pressured to make an unwanted decision. We want you to get to know us. If you’re looking for added value to your home , give us a call. Hyde Home Exteriors is committed to utilizing and supporting local resident and businesses. More than 90% of the materials we use are made here in Michigan, most of them being manufactured within a two hour drive of St. Clair County. Whenever possible, we strive to use materials from outstanding local sources like Quality Aluminum Products , DOW foam Insulation , Certainteed/ Wolverine Siding. We also work with mainly local suppliers and distributers such as ABC Supply, Mortimer Lumber , Shoreline Building Products, etc. At Hyde Home Exteriors, we recycle any of our waste that is recyclable and use energy star approved products whenever possible. We understand that by using the most energy effiecent products you get the best return on your investment and are also being environmentally responsible. In addition, often choosing a enviromentally responsible option offers tax incentives that may offset the initial cost and offer you the best option for your remodel scenario. Unlike many stubborn veteran " my way is the only way" remodeling contractors, we are constantly striving to find new ways improve our process and deliver the best job possible. We are one of the only area contractors that continuously participates in Continuing Education programs.